CPD (Continuing Professional Development) is a requirement in NSW for all builders and pool builders who must undertake 12 CPD points per year to maintain their building licence. CPD Seminar attendees earn up to 12 CPD points (full day), covering their annual requirement. If a partner or business associate accompanies an attendee they can accumulate up to four extra CPD points which can be carried over to your next year's requirement. 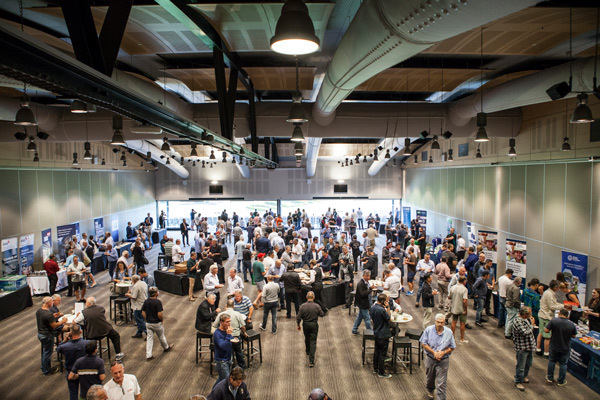 Each year, we select only four key presenters to deliver relevant and detailed topics that will assist builders to better understand current issues within the building and construction industry. These topics can be based on legislation, innovation and new products, key issues and changes that educate the industry and builders. These presentations also offer a national competency in order to award CPD points. For further information on presenting at the CPD Series, please email Rebeccah Kilmurray. Our CPD Seminars are a high quality, educational series of events held throughout metropolitan and regional NSW. Continuing Professional Development is required for all residential and pool builders in NSW. Builders must earn 12 points per year to maintain their builders licence. Static Sponsors - Sponsorship of the CPD Seminars provides excellent opportunities for companies to align themselves with a high quality industry event and expose their brand and key products or services to hundreds of building companies. Rebeccah holds over 10 years’ experience in marketing and event management with three years in the building and construction industry. Rebeccah can build your business profile and brand awareness through sponsorship of our three key trade events; CPD Seminars, Trade Expos and Industry Workshops to help you engage directly with your target market.